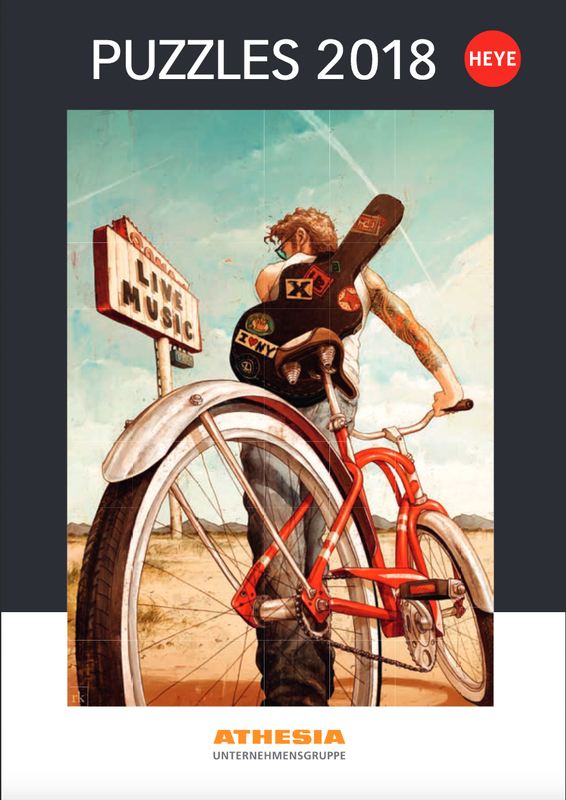 Rory Kurtz | Music Ride Makes A Big Debut As A Puzzle For Hehe Puzzles Category Bike Art! Here’s your chance to get a 1000 pieces of RORY KURTZ! We’re delighted to finally share this project that has been in the vault for some time for HEYE Puzzles! 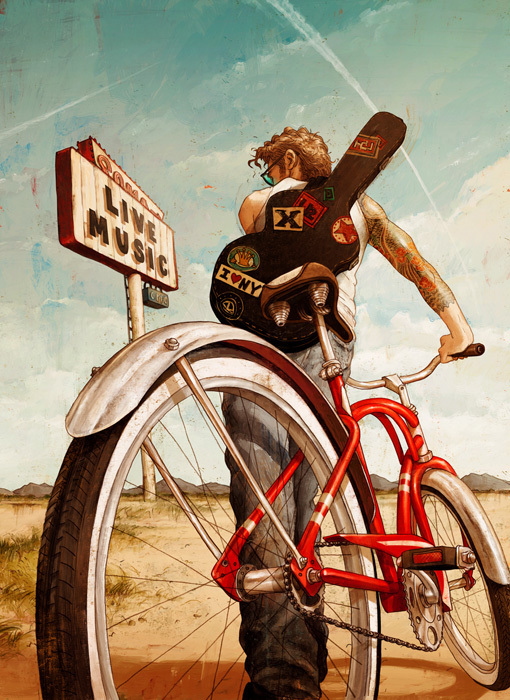 Rory’s bike art “Music Ride” has made it’s first debut into Puzzles and featured on the cover of their new catalog! The puzzle category is called “Bike Art. Bicycles in Art Around The World.” We’re super excited about this project and can’t wait to start assembling our own personal puzzle.